Israeli occupation forces (IOF) on Sunday broke into al-Ras al-Ahmar area in the northern Jordan Valley and assaulted Palestinian farmers. 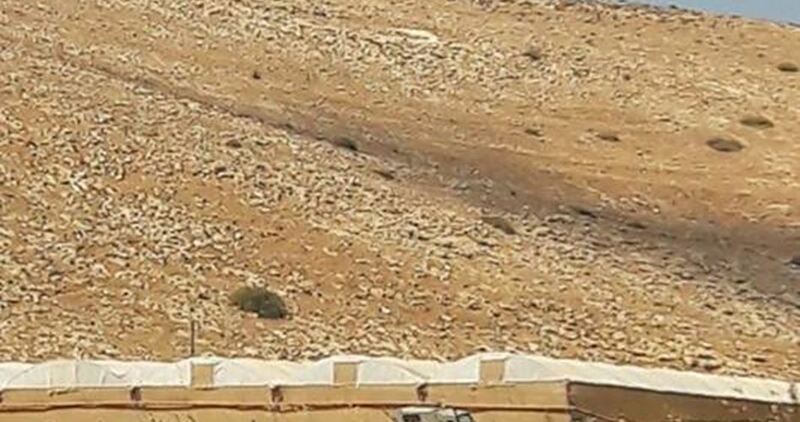 Local sources told the PIC reporter that Israeli infantry soldiers chased Palestinian farmers in the fields of al-Ras al-Ahmar area and prevented them from entering their farmlands. 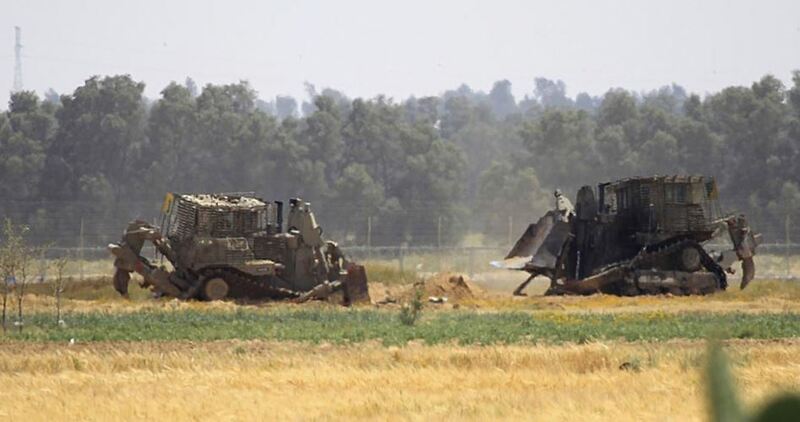 They pointed out that the IOF soldiers stopped a bulldozer working on an agricultural road in the area and forced its driver to get down from the vehicle, and added that the soldiers later closed the area completely blocking Palestinian citizens' movement. Since the beginning of 2017, Israeli forces have launched dozens of attacks against al-Ras al-Ahmar area confiscating vehicles, destroying crops and arresting farmers. The Israeli occupation forces (IOF) on Sunday morning prevented Palestinian farmers in Azzun town, east of Qalqilya, from heading to their fields in a nearby area to harvest olives. 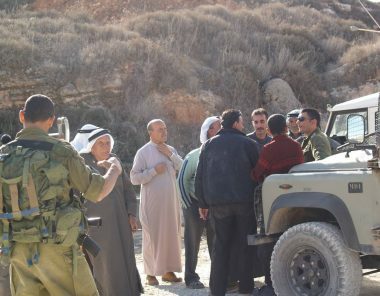 Local activist Hasan Shabita said that security guards from the illegal settlement of Ma'ale Shomron escorted by soldiers forced dozens of local farmers to leave the area. Shabita told Quds Press that the soldiers claimed there was no prior coordination for their access to their olive groves and ordered them to come back later after the end of the Jewish holidays. During the olive harvest season, the farmers in the West Bank are either denied access by the army to their lands to pick olives or attacked by extremist Jewish settlers under military protection. Throughout the year, Palestinian olive trees are also exposed to repeated acts of sabotage and arson attacks by Jewish settlers in different West Bank areas. 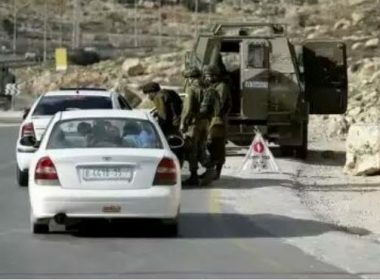 Israeli soldiers closed, on Sunday at dawn, the main gate leading to eleven villages and towns, after briefly opening it, and prevented all Palestinians under the age of thirty from entering or leaving them. More than sixteen villages and towns have been under strict Israeli siege for the sixth consecutive day, an issue that poses real risks on the Palestinians who became isolated from their surrounding communities, and have been unable to receive basic food supplies, except for what they already have at hand. It is worth mentioning that the soldiers briefly removed the military roadblock, close to the Tunnel Road, leading to the villages and towns, but soon closed it, stopped and searched all cars and inspected the ID cards of the passengers. The soldiers then denied all Palestinians, 35 years of age or younger, from entering or leaving their villages and towns. Israeli army bulldozers also destroyed roads linking between the Palestinian villages and towns in the area, and kept the tunnel road, near Biddu town, under tight siege, turning the inhabitants of eleven communities into prisoners in their own towns. Israel initiated this collective punishment measure on September 26, after the fatal shooting, which was carried out by Nimir Mahmoud Jamal, 37, targeting a group of Israeli Border Police officers, and armed security guards, killing three and wounding a fourth, at the main entrance of Har Hadar illegal Israeli colony. Nimir was then shot and killed by the remaining Israeli border guards at the entrance of the settlement colony. Har Hadar was illegally built on lands owned by Palestinians from Biddu, Beit Surik and Qotna. Israeli soldiers prevented, Sunday, many Palestinian farmers from entering their orchards and farmlands, isolated near Maali Shomron illegal colony, which was built on their lands. The farmers said they wanted to enter their orchards to pick their olive trees, but the soldiers stopped them and prevented them from entering their own lands. They added that the soldiers, accompanied by armed Israeli guards from the colony, ordered them not to return to their lands for two weeks, after Jewish holidays conclude. The villagers stated that they were also denied access to their lands several times last month. 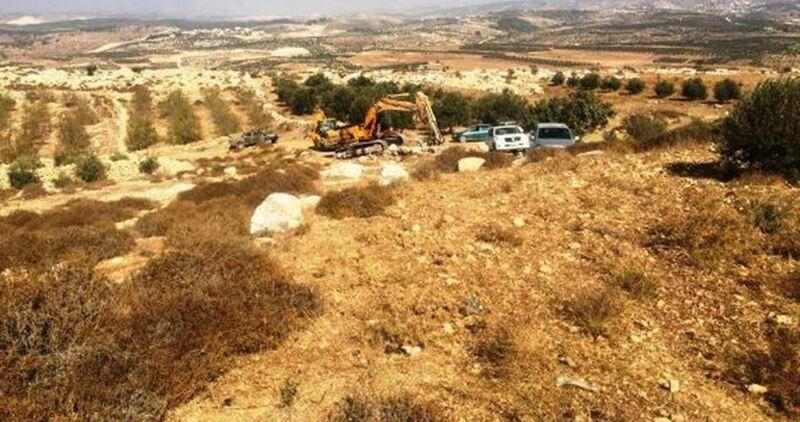 Israeli occupation authorities (IOA) handed over on Saturday confiscation orders stipulating seizing 4 dunums and 700 meters of agricultural land in Deir Nitham village to the northwest Ramallah. IOA claimed that the confiscation was aimed at building a fence around Halmish settlement which has been under construction for three weeks. Head of the village’s council Ahmad al-Tamimi told Quds Press that the confiscated land is located at the main road and connects Halmish roundabout to the village’s junction. Tamimi opined that the confiscation decision declared the seized lands as a state property, saying that it is aimed at expanding the boundaries of Halmish settlement for security reasons. The village has been suffering from Israeli violations including seizing and leveling of lands and uprooting of trees for 20 years, he pointed out. 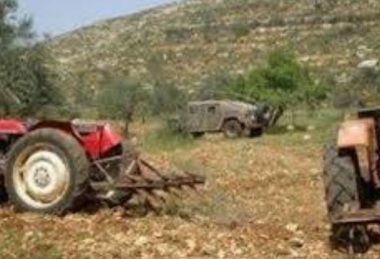 Israeli Occupation Forces (IOF) on Saturday attacked and prevented Palestinian farmers from picking olive harvests in al-Nabi Elyas village east of Qalqilya, in the northern West Bank. 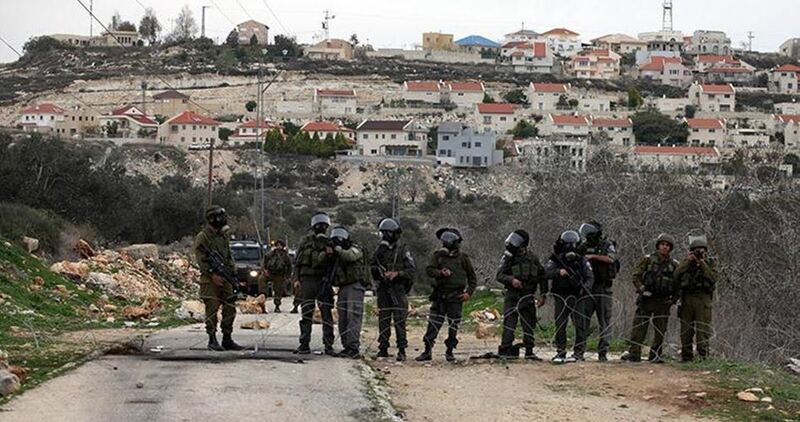 IOF soldiers forced the farmers out of the area and warned them of accessing their lands. A local source told the PIC that the IOF’s attack came in response to incitement by settlers of the adjacent settlement of Maale Shamron where about 1,000 of Jewish settlers reside illegally over 600 dunums of Palestinian land, which Palestinians are prohibited to access. The Israeli occupation army announced that the occupied West Bank and Gaza would be closed off for more than three days this week to mark Jewish holidays. The closure is set to last until Sunday to celebrate the Yom Kippur holiday, marking the 10th day of the first Jewish month. Yom Kippur also known as the Day of Atonement is the holiest day of the year in Judaism. Its central themes are atonement and repentance. Jewish people traditionally observe this day with an approximate 25-hour period of fasting and intensive prayer, often spending most of the day in synagogue services. The Israeli occupation authorities have often sealed the West Bank and tightened the decade-long closure of the Gaza Strip under the pretext of Jewish celebrations, preventing movement both in and out of the occupied territory. Such restrictions have been strongly criticized by rights groups for amounting to collective punishment, while blocking Palestinians who work and live in the occupied territories from accessing their jobs and homes, exacerbating socio-economic suffering in the territory. ﻿The Israeli occupation army on Thursday closed the agricultural road between the villages of Shufa and Kafr al-Labad, east of Tulkarem in the West Bank. 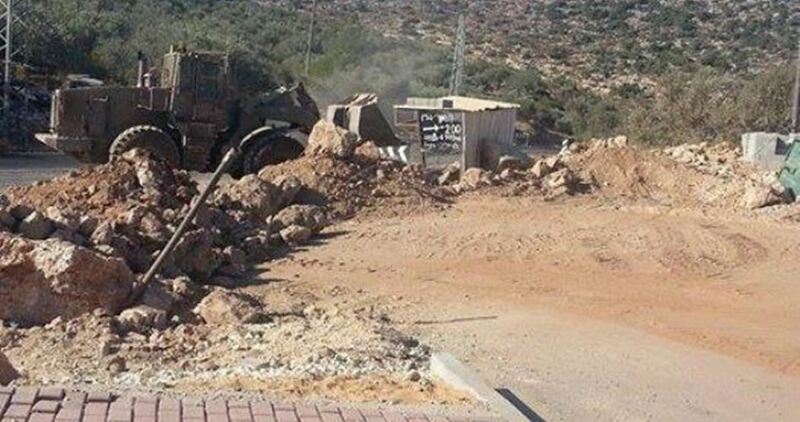 Local sources told the Palestinian Information Center (PIC) that a military bulldozer escorted by soldiers closed the road with mounds of dirt and rocks. They said the closure would cause a great suffering for local residents and farmers when moving between Shufa and Kafr al-Labad. Shufa residents would have to travel a distance of more than 27 kilometers from the village to the nearby hamlet known locally as Khirbet Shufa. Local farmers believe that the road was closed in order to spoil the approaching olive harvest season and to please the Jewish settlers living in the area. Israeli bulldozers overnight Wednesday destroyed Palestinian agricultural facilities, including water lines, in the northern Jordan Valley. According to activist Mootaz Besharat, in charge of the settlement file in the Jordan Valley, members of the Israeli Planning and Construction Committee, escorted by heavily-equipped bulldozers and army patrols, stormed Atouf area and razed 1,300-meter agricultural roads, without prior notifications. A set of European-funded water lines used by the locals for agricultural and daily consumption have also been knocked down by the Israeli bulldozers. Over the past 10 days, the occupation authorities have stepped up assaults on Palestinian farmers and their much-needed facilities in the area. Last week several agricultural vehicles were seized from the area. According to human rights NGOs, such Israeli assaults make part of a preplanned scheme of ethnic cleansing aimed at forcing Palestinian farmers out of the area by rubbing down their own and only livelihoods. 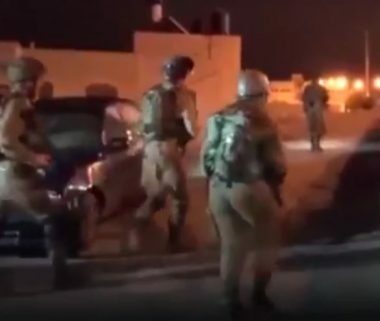 Israeli soldiers abducted, on Thursday at dawn, several Palestinians during invasions and searches of homes in the occupied West Bank, and clashed with many youngsters near Jerusalem. The Israeli army said it arrested, in Beit Surik village, northwest of occupied East Jerusalem, several relatives of Nimir al-Jamal, 37, who opened fire, on Tuesday morning, on a group of Israeli Border Police officers, and armed security guards, killing three and wounding a fourth at the main entrance of Har Hadar illegal colony, before he was shot dead. One of the abducted Palestinians has been identified as Rami al-Jamal, who was taken prisoner from his home. The soldiers also forced many Palestinians to erase political graffiti from many walls in the village. In a statement, the military said its soldiers have arrested four Palestinians in the West Bank. The army added that it confiscated dozens of work permits, that were previously given to relatives of al-Jamal. In addition, the soldiers invaded several areas around Al-Quds University, in Abu Dis town, east of Jerusalem, and clashed with many youngsters, who hurled stones and empty bottles at them. The soldiers fired many gas bombs, concussion grenades and rubber-coated steel bullets. There have been no immediate reports of injuries. 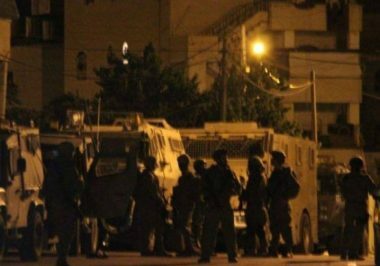 The Palestinian Prisoners’ Society (PPS) has reported that several Israeli army vehicles invaded Budrus village, in the Ramallah al-Biereh governorate, before the soldiers stormed and ransacked homes, and abducted three Palestinians. The PPS identified the abducted Palestinians as journalist Mohammad Shokri Awad, Nadi Mohammad Awad and Yousef Othman ‘Oleyyan. The Israeli army continued, for the third consecutive day, the complete isolation of sixteen Palestinian villages, northwest of occupied Jerusalem, in addition to closing various roads and continuing the state of curfew, imprisoning the villages in their homes, and causing the closure of fifty schools. 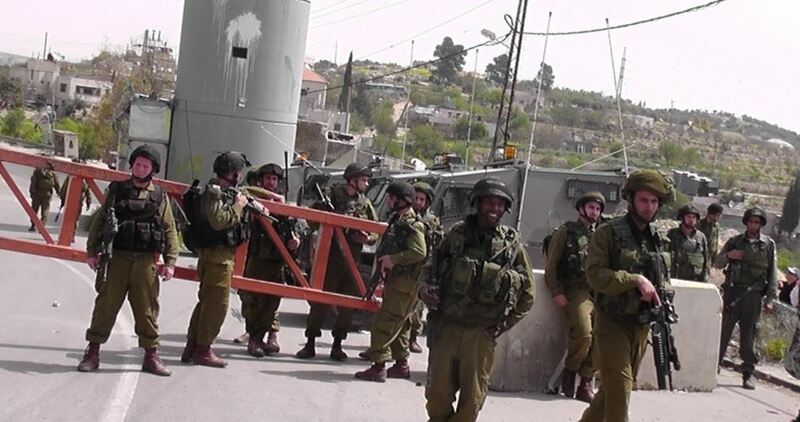 The soldiers shut all roads leading to the villages, especially the “Tunnel Road” leading to Biddu village, Beit Anan – Beit Liqya road, in addition to all roads linking the villages with each other. The army also imposed curfew in the sixteen villages, imprisoning the Palestinians in their homes, and resulting in closing fifty schools, providing education for more than 4000 students. The soldiers also invaded, violently searched and occupied several homes, after forcing the families out from many homes in Biddu and Beit Surik, and informed some families of their intention to remain in their properties indefinitely. In addition, the army issued many demolition orders targeting homes, in addition to halting the construction of many other homes. The army also prevented ambulances and journalists from entering the isolated villages, and fully surrounded Beit Iksa. The latest Israeli violations are acts of collective punishment against thousands of Palestinians in the aftermath of the fatal shooting, which was carried out by Nimir Mahmoud Jamal, 37, who opened fire, on Tuesday morning, on a group of Israeli Border Police officers, and armed security guards, killing three and wounding a fourth at the main entrance of Har Hadar illegal Israeli colony. The Israeli occupation forces (IOF) on Wednesday delivered demolition notices issued against homes and an agricultural well in Beit Surik town, northwest of Jerusalem. Director of the Jerusalem mayor’s office Mohamed at-Tarri told Quds Press that Israeli soldiers stormed Beit Surik town and handed owners of five homes and one well demolition orders issued at the pretext of unlicensed construction. Tarri affirmed the demolition orders were part of recent Israeli punitive measures that were taken against the local residents after their compatriot Nimer Jamal carried out two days ago a shooting attack at an entrance to the illegal settlement of Har Hadar. “A frenzied campaign has been launched against Beit Surik town in response to the attack, and it is not about unlicensed construction. The occupation state commits crimes by different means against the Palestinian people,” he said. He noted that the IOF installed a permanent iron gate at the entrance to the tunnel road, which is a lifeline for 10 towns and villages located to the northwest of Jerusalem. The Israeli occupation forces on Wednesday morning notified the demolition of 10 Palestinian facilities in Ramallah’s northeastern town of Silwad. 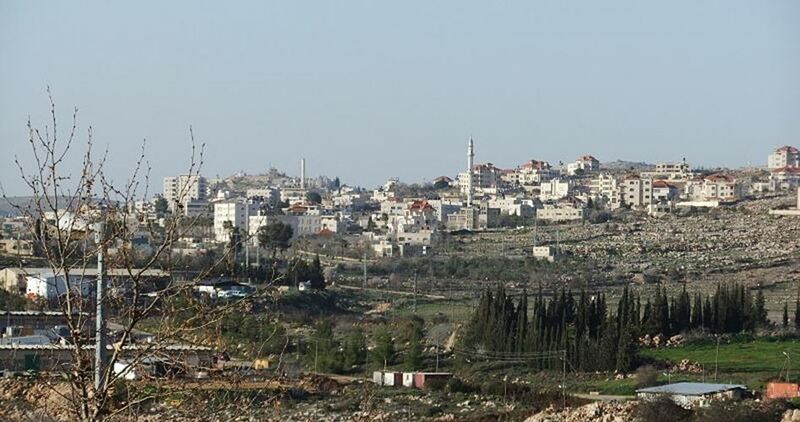 Silwad Mayor, Abdul Rahman Saleh, said the occupation forces threatened to demolish 10 Palestinian structures, including homes, two aluminum and iron factories, and a carwash. Saleh added that the Israeli soldiers ordered the demolition of the targeted buildings by their own owners in no more than seven days, threatening to subject the owners to steep fines in case they do not abide by the verdict. The notifications were issued under the pretext of unlicensed construction. Sometime earlier, the owners appealed to an Israeli court to cancel the demolition orders. 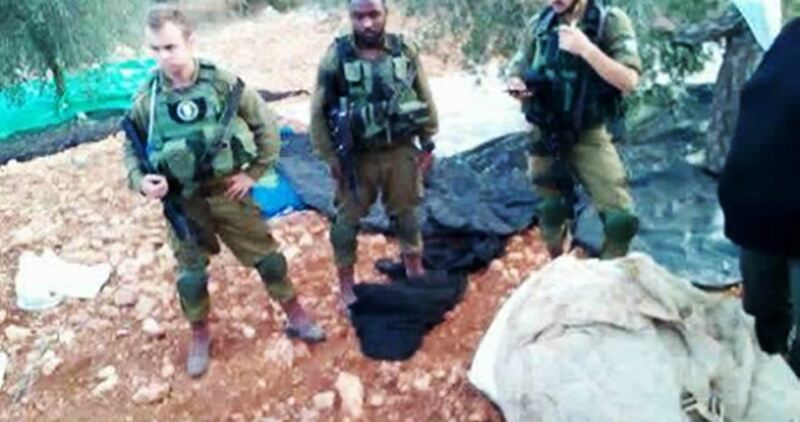 The Israeli occupation army on Monday afternoon confiscated a truck laden with three tons of Palestinian-made charcoal in Ya’bad town, south of Jenin in the West Bank. Local sources told the Palestinian Information Center (PIC) that this load of charcoal was seized at the behest of the commander of the Israeli army in the region, who already threatened to prevent the production of charcoal in Ya’bad. 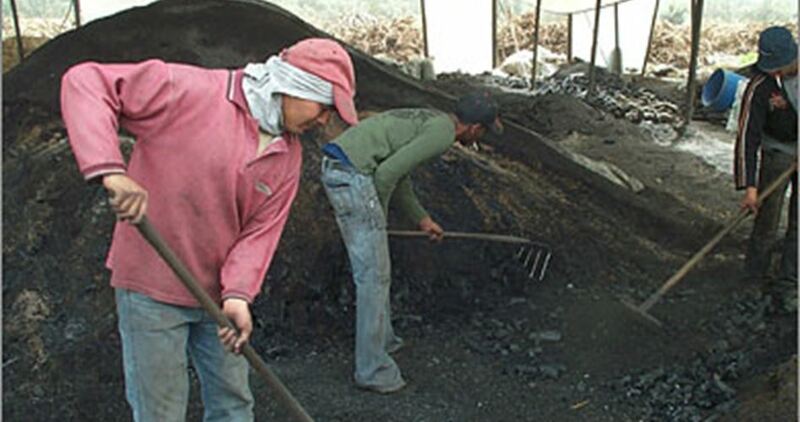 For its part, The union of coal workers affirmed that the seized truckload of charcoal was produced in a workshop belonging to a citizen from Ya’bad and was taken by Israeli soldiers to the Salem military base in Jenin. “The coal industry is the only source of livelihood for many families in Ya’bad town…but, it has been targeted and undermined by Israeli measures in recent years,” the union said. Last August, the Israeli army confiscated around 20 tons of wood belonging to three charcoal factories in Ya’bad, claiming the Palestinian coal industry violates environmental regulations and disturbs Jewish settlers living in the area. The Israeli occupation authorities leveled Palestinian lands northeast of Jerusalem city as part of its underway land grab tactics. Member of the Follow-Up Committee in al-Issawiya village, Mohamed Abu al-Hums, said the Israeli forces, escorted by three heavily-equipped vehicles, stormed al-Issawiya, northeast of Occupied Jerusalem, and bulldozed Palestinian land tracts owned by the Abu Turk, Mustafa, and Muheissen families. The targeted land lots cover an area of up to seven dunums. 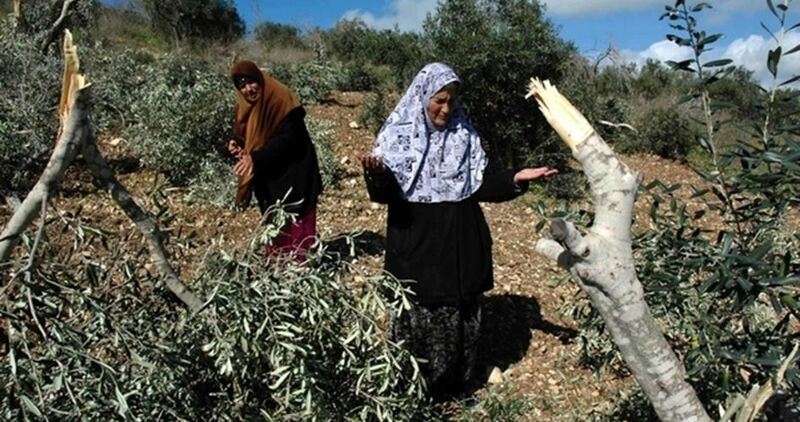 The Israeli forces further razed a security fence surrounding the lands and uprooted olive trees before they issued a fine against the owner of an agricultural structure. At the same time, the Israeli forces bulldozed a land belonging to the Palestinian citizen Zakaria Abu Tayeh in Khilet al-Ein, in Jerusalem’s eastern town of al-Tur, moments before they violently beat al-Tayeh and dragged him to an Israeli investigation center. In August alone, at least 11 Palestinian facilities were reduced to rubble by Israel’s demolition machines across Occupied Jerusalem. 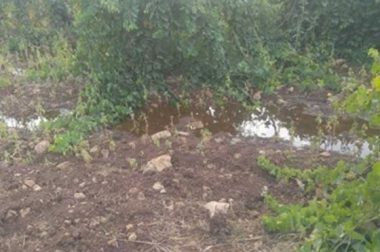 Several extremist Israeli colonists pumped, on Monday evening, sewage water into Palestinian agricultural lands in the al-Khader town, south of the West Bank city of Bethlehem. Ahmad Salah, the coordinator of the Popular Committee against the Annexation Wall and Colonies in al-Khader, said the colonists, from Efrat illegal colony which was built on illegally confiscated Palestinian lands, flooded the farmlands in Wad al-Byar area with sewage water, destroying a large area planted with grapevines. He added that this serious assault was not the first of its kind, and expressed concerns regarding the spread of diseases besides the destruction of plants and trees.